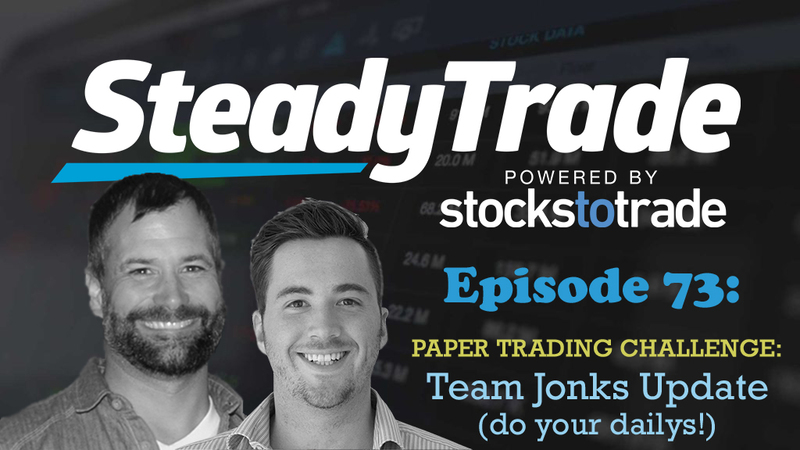 Ready for the latest update on the SteadyTrade Paper Trading Challenge? What’s going on? Liz is #winning big-time. Her paper trading account is currently over $48,000! She’s been following volatile stocks and trading from intraday levels. She talks about the lines and trends she’s following, and how she likes size and scalping. The only problem? While she knows her methods are working, she doesn’t know how or why they’re working. This could add up to trouble when trading in real life. What she’s learned: Liz shares how her biggest lesson so far has been learning to read and understand daily charts. Will the stock go up or down? Why? She’s going in with her full account and seeing what happens. However, she’s not being as careful as possible. Will she explode like an atomic bomb? What’s going on? Louis is holding steady, but not necessarily excelling. His account is just over $27,000. It’s not incredible, and it’s not where he wants to be. As Louis shares, he’s been preoccupied. The recent wildfires in California and the ramping-up of the holiday shopping season (he works in luxury retail) have kept him from focusing on the Challenge. Will life get too much in the way of trading? What he’s learned: Louis has truly learned the power of a trading plan. He IS trading with a plan most of the time. The trouble? Putting it all together. While he’s great at creating a plan and focusing on one or two aspects of it, he’s having a little bit of trouble with considering multiple variables at once. AKA, he’s not seeing the forest for the trees. What he’s struggled with: FOMO and chasing. When he sees that high of the day, he gets all excited and wants to jump in and buy, no matter what — plan be damned. Will he be able to overcome the all-too-common trading phenomenon of chasing the shiniest and sexiest stocks? Jude never tried paper trading before this challenge. She started trading with real money, and in going to the virtual platform, she’s finding it challenging, almost like going from driving standard to automatic. After the initial challenge, she’s started to follow Stephen’s advice (!) and look for patterns, and her profits have been turning around. What she’s learned: Jude improved on getting more clear on what her setups are. She’s looking at support and resistance, and waiting for her setups before jumping into a trade. What she’s struggled with: Her struggle has mainly been with trading psychology. FOMO and itching to make trades — the struggle is real! Will Jude be able to remain calm and patient long enough to stay in the challenge? How can you know if it’s a morning spike? If not, how can you figure out if the trend will continue? How can you control risk and reward? 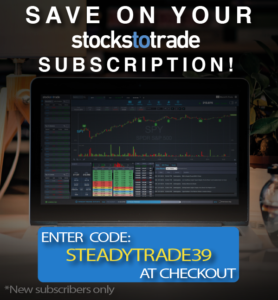 Stephen talks about how you can’t predict the stock market, but how you can position yourself to take advantage of risk and reward to diminish losses. Who’s gonna win? Should Bohen’s team be worried? Wait til you hear Liz’s fighting words at the end of the episode! Do you have a question about trading? Visit the “submit your audio” portion of the website to ask us anything. Thanks for tuning in to the SteadyTrade Podcast. Stay tuned for weekly episodes featuring the hottest topics for traders of all levels.